My commute is minimal, about 6 minutes door to door, I know be jealous. I am an engineering professional in the automotive industry. My vocation treats vehicles like printer paper, so the value has been lost. I don't drive much and I've streched my manual 05 Focus about as far as it will go. I live in Wisconsin so I am considering an AWD alternative to sliding around in the winter with a small hatchback. No kids no pets one motorcycle in the garage. 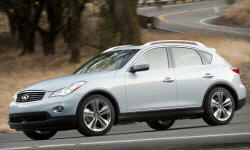 I find myself being distracted by unicorns like the BMW X5M, Infinity QX70, and the Porsche Cayanne. I am generally utilitarian but I thought that I should get excited about a large purchase. I haven't found any joy in car shopping. Ford or GMC are the only domestic brands I would even consider. My vehicle history is short and sweet including but not limited to a 1983 Mercury Tracer, 1964 Vista Cruiser, 1987 Plymouth reliant, 1991 VW Jetta, 1989 Ford Taurus Wagon, 1997 Pontiac Sunfire, 2004 Mazad 3 (Worst Purchase Ever), and my current 2005 Ford Focus ZX3. Nothing amazing... I am between spending the minimum on something that isn't constantly breaking and spending a boat load on +500 HP just because. I appreciate safety features, though I've never had modern ones in any of my personal vehicles. A quiet ride with low maintenance costs would be great, though I do know how to fix most common problems on my own. I'm skeptical that AWD is actually something you need in WI. What have you done through past winters? If you need greater traction through the winters, are there tire solutions (snows or studded snows) that would work better and let you just go with fwd? Because if you're powering something that weighs 3,000 lbs, it takes a lot less hp than if you're powering something 5,000 lbs; and with a lower center of gravity (better handling) and cheaper repair and maintenance too. 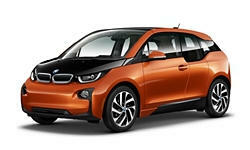 BMW I3 - These cars should appeal to your engineering sensibilities. They handle well given the low center of gravity. They accelerate quickly thanks to the immediate torque of the all electric drivetrain. They have an 81 mile range, which is more than enough for your. Generally they are just a very interesting car, with a beatiful interior and a carbon fiber monocoque chassis which is unheard of in this price range. 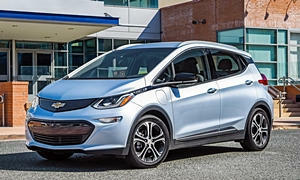 Best of all, electric care depriciate quickly from new because tax breaks aren't available for used versions, so they can easily be found for $20k within warranty. The Nissan Leaf would be a less expensive option with similar virtues, although a more boring design. 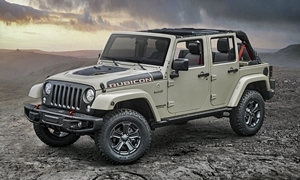 Jeep Wrangler - Rugged, AWD and fun. 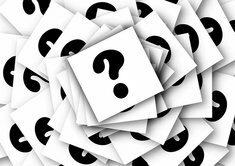 Something interesting to shake up your car buying experience. 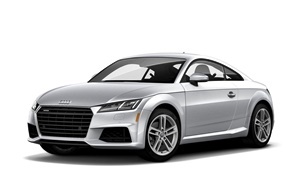 Audi TT - Again, a fun AWD coupe that is well engineered and great looking inside and out. Based on the Golf chassis so it can be less expensive to maintain if you do some of the work yourself or take it to a good independant service center. The older versions have aged really well, and the design is sure to become a classic. A short commute in the winter is very hard on the car, as the engine rarely gets properly warmed up. If you're able to take at least one longer drive each week, that should help. An X5M or Cayenne that can be purchased for under $20,000 is likely to require repairs--otherwise the price wouldn't be so much lower than it was when new. As mwcten mentioned, proper winter tires will help a lot with sliding around, even with AWD. 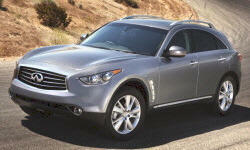 The Infiniti FX (QX70) is an interesting vehicle. If you don't really need something that large, you might also look at the EX, or even the G sedan or coupe. 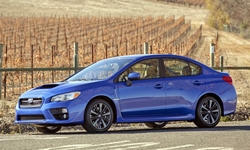 For a lot of fun, you might also check out the 2015 and up Subaru WRX. Subarus can get a little troublesome once over 100,000 miles, but many people have good luck with them. Also, the current generation is only offered as a sedan. 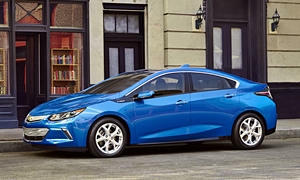 Chevy Volt is supposed to be fun un like a Prius which is not fun to drive. Easily able to find them under $20,000 budget and the batteries last for ever. I got you by 2 miles on my commute!. Even is 4 miles highway the cooler days the components barely get warmed for start/stop operation. But as Michael says a 30-40 minute drive every couple of weeks or will keep you out of severe duty on the fluids.